I remember my 20’s with great fondness and admiration for the fast-paced lifestyle I lived! I was a young mother with 4 children before I hit my 30th birthday! I remember saying, “I want to make sure I’m finished having kids before the BIG 3-0!” So with the birth of #4, a beautiful baby girl, my child bearing days were behind me! I succeeded! I signed those papers, the doctor tied those tubes, and I considered my life a success! After all, I was young, had 4 beautiful kids, and I could keep up with them! Then life happened! I found myself divorced and in a relationship with a younger man. He knew there would be no children when he “put a ring on it”….there would be no more babies…NO WAY! I was in my 30’s for God sake! I was MUCH too old! Been there, done that….wrote the book and all that jazz! Fast forward 5 years in to a happy marriage. We reconsidered…and by “we”, I mean ME! I did the research and underwent a tubal reversal! 2 years later, at 40 years old, I gave birth to #5, and presumably the last! 3 weeks after her birth, my husband was deployed. I was left alone with a newborn baby, post partum depression, 2 teenage girls and 1 preteen girl who thinks she’s grown! The first 3 months were great! I’m a pro! Let’s face it, I’ve done this before…4 times to be exact! I can do this in my sleep! But there lies the problem…I can’t sleep! I’m tired! I just want one night of peaceful dreams! I want one night where someone else carries the load! This week has been extra hard! Baby girl is sick! She’s cried relentlessly! I’ve held her for 2 days! This morning I found myself curled up in a fetal position, crying right along with her! WHHAAATTTT!!!!! Seriously??? F**k!! All I could think was how freaking jealous I am! I WANT SLEEP DAMNIT!!! Then I began to think of how many nights he “owes” me! How many Saturday mornings I will have stock piled by the time he gets home! 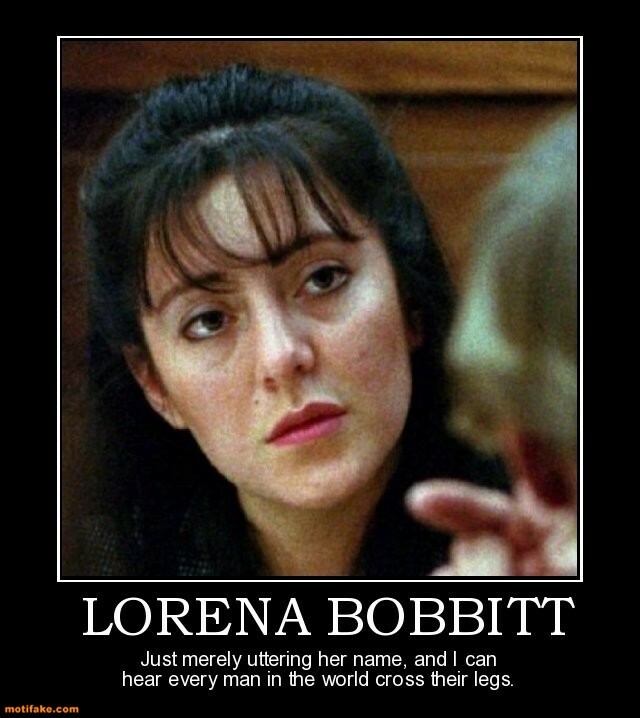 I swear to God, if he complains one time about “lack of sleep” I may go all Lorena Bobbitt on his, well, you know! Just kidding! I think the sleep deprivation has done it’s damage…I’m now a deranged lunatic! Good night all! I’m going to go hide all the scissors before attempting to get some much needed sleep!